Every Cobra lawnmower has been expertly designed in the UK to cater specifically for the changing conditions of the British lawn. With exceptional performance and style, the Cobra MX46SPE 18" electric 4-in-1 lawnmower is powered by a 1800w motor. The MX46SPE is self propelled and can either mulch, side / rear discharge or collect grass. The Cobra MX46SPE petrol lawnmower has 7 adjustable cutting heights ranging from 25mm for a superb low finish, up to 75mm for tackling longer grass. All this is achieved by simply using the single height of cut adjustment lever. Depending on the height of your grass, you can easily and efficiently adjust the cutting height to suit. The Cobra MX46SPE petrol lawnmower is equipped with a 60 litre fabric grass bag, ideal for collecting large amounts of grass clippings before the need for emptying. The grass bag on the Cobra MX46SPE is made from a robust, high quality fabric. This fabric enables a strong free flow of air which means that grass collection on this machine is even more compact and comprehensive. Free Delivery For Mainland UK. 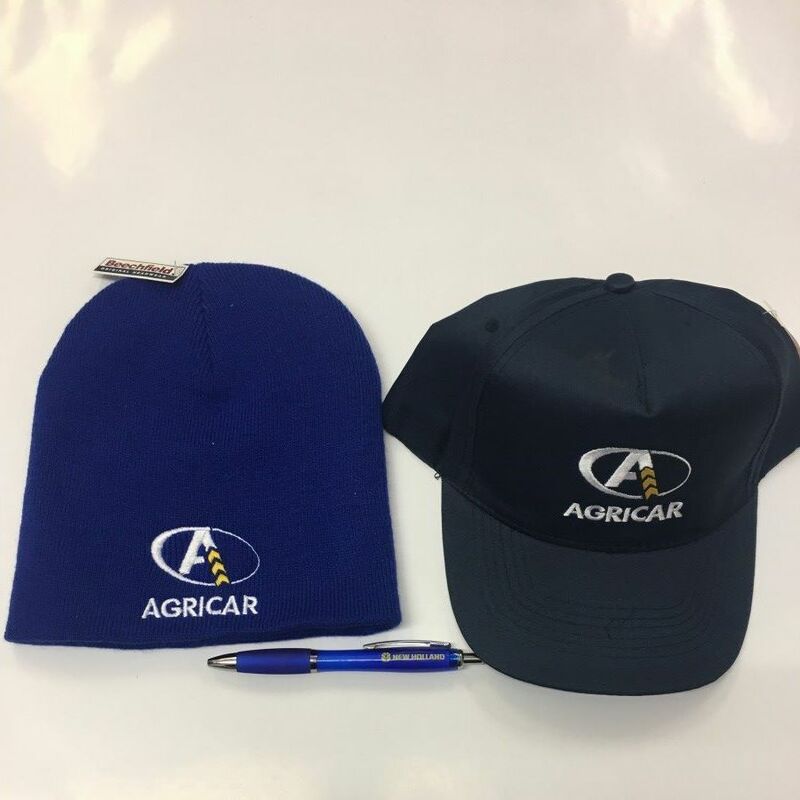 You will also recieve a complimentry Agricar baseball cap, beanie hat and New Holland pen.